Wow, what a holiday season. Our days were packed with love, family and too much food!! I'm not sure how I managed not to gain any weight over this season, but perhaps I can credit eating as primally as possible in between all the delicious sugary treats. It was also amazing how awful I felt after eating things with sugar/gluten/unhealthy fats in them. I never "seemed" to have a problem with these prior to going primal, but now, almost like clockwork, about half an hour after indulging, I had a terrible headache and felt nauseated. Sadly, that feeling would last for a few hours. What was even sadder is that feeling bad wouldn't stop me from repeating the cycle the next day. The addictive power of sugar is not to be taken lightly. We "primaled up" any and all mains and sides we could. The turkey was obviously already primal and I used arrowroot powder instead of flour for the gravy. Not as pretty but just as delicious. One day we made and decorated primal gingerbread men (recipe to come). And then there was dessert. 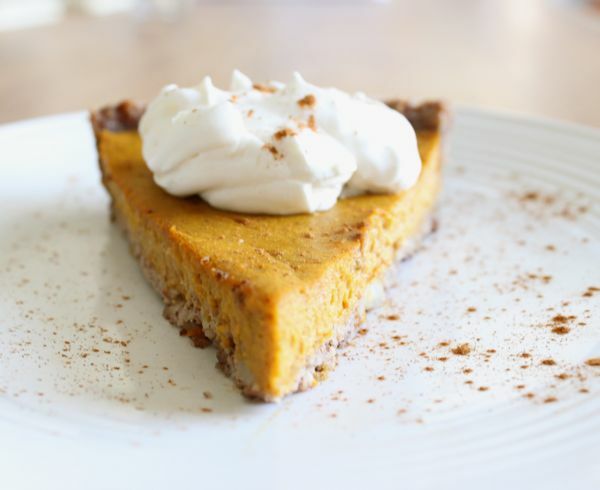 My mother traditionally made pumpkin pie for Christmas dessert so this year I wanted to make a primal version if possible. I based my recipe on the one on Mark's Daily Apple with a few modifications (as usual). It turned out better than I expected and the rest of the family thought it was delicious and didn't know the difference. If you have tried or are looking at the recipe on MDA, here are my differences: For the crust, I mixed almond meal and walnuts together as I find straight walnuts to be a little bitter. Plus I just love almond meal crusts. I added some maple syrup to the crust for added sweetness. I added a bit of stevia to the filling to also give it a little extra sweetness for the all the kids (big and small!) in the family. You can eliminate both these things if you want. I had forgotten to bring the arrowroot powder with me and found the filling was firm enough without it. Preheat oven to 350 degrees. Grind walnuts and almonds (if not already in meal form) in a food processor or blender until finely ground. Add butter and maple syrup and mix well until thoroughly blended. Use your fingers to press into the bottom 9 inch pie or tart pan and up the sides. 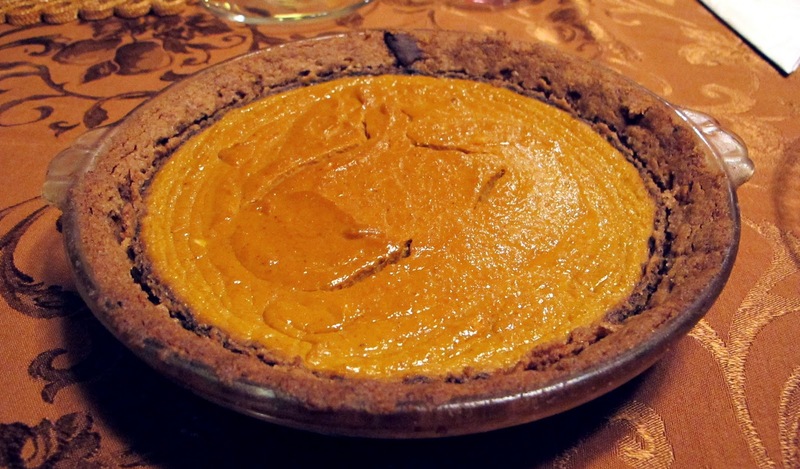 Make the crust thicker on the side and thinner on the bottom. Press up all the way to the top of the pan as the recipe makes a lot of filling. Bake crust in middle rack of oven at 350 degrees for 15 minutes. Remove from oven and set aside as you make the filling. Pour batter into crust and bake in 350 degree oven for 50 minutes. Cool thoroughly before cutting into it. Serve with whipped cream or a dollop of greek yogurt. Now, back on the primal diet, detox from sugar and back to the gym for a new deadlift PR! 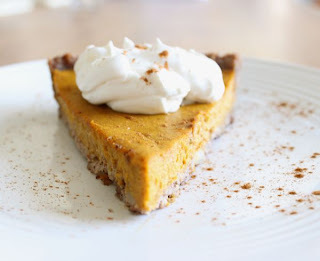 I was lucky enough to eat a piece of this delicious pie, and wanted MORE! So good, and no one would know it was not "traditional". It was better in my opinion...maybe it had something to do with coconut milk! Can't wait to try this on my own......so, so good! Awesome recipe, will try. Great seeing you guys as always!